This multi-faceted cream is an absolute must-have in any grooming kit. It treats and heals all types of skin problems in horses from eczema to infection. It prevents chafing in sensitive areas such as the corners of the mouth and creates a barrier in order for the skin to repair and heal itself. 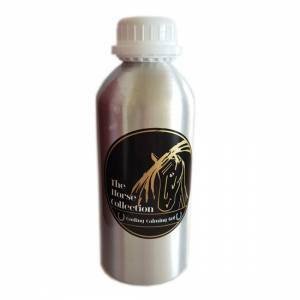 Made from the beautiful organic ingredients, this product will not irritate your horse’s skin, instead it will calm and relieve it, allowing it to heal and repair. Skin Protector can also be used to encourage faster hair regrowth after injury. 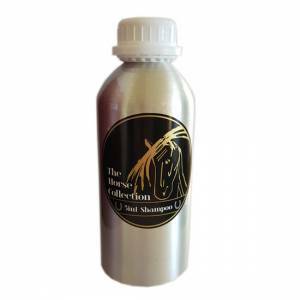 Use across the body or your horse wherever skin inflammation or irritation is present or where hair regrowth is required. This multi-faceted cream is an absolute must-have in any grooming kit. It treats and heals all types of skin problems in horses from eczema to infection. It prevents chafing in sensitive areas such as the corners of the mouth and creates a barrier in order for the skin to repair and heal itself. 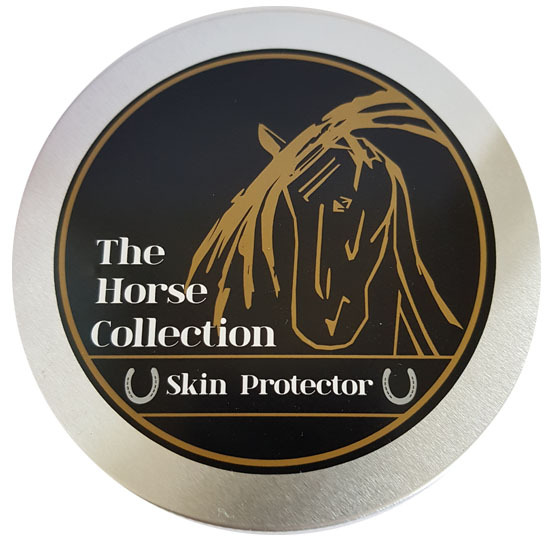 Made from beautiful organic ingredients, this product will not irritate your horse’s skin, instead it will calm and relieve it, allowing it to heal and repair. Skin Protector can also be used to encourage faster hair regrowth after injury. Use across the body of your horse wherever skin inflammation or irritation is present or where hair regrowth is required. Application: Apply a little to area in need of healing or protecting. Key Active Ingredients: Organic Tamanu Oil, Organic Rosemary Oil, Organic Tea Tree, Organic Oud (Agarwood), Organic Arnica, Organic Frankincense Oman Oil, Natural Vitamin E.
We cannot believe the results we are having with this product. We have used other similar products for years, however the “Skin Protector” is far superior to any other that we have tried. This product healed a severe blistered sunburn on our pony in less than 48 hours-the blisters just disappeared to be replaced by healthy pink skin. It encourages healing and hair growth and acts as a barrier for bit chaffing in the mouth. We haven’t used anything quite like it before and are more impressed with the results. skin protector will be a constant in our tack box from now on. Ingredients: Organic Tamanu (Calopyhyllum Inophyllum) petroleum jelly (skin protection barrier), Organic Rosemary essential oil (Rosmarius officinalisL), Organic Tea Tree essential oil (Melaleuca Aiternfolia), Organic Arnica oil, Organic frankincense Oman essential oil (Boswellia Sacra), Natural Vitamin E, Agarwood (Oud) essential oil.